I spotted a small newspaper article yesterday whilst searching through the year 1918 in the digitised Barnsley Chronicle at Barnsley Archives. The words that caught my eye were Redfearns Glassworks. 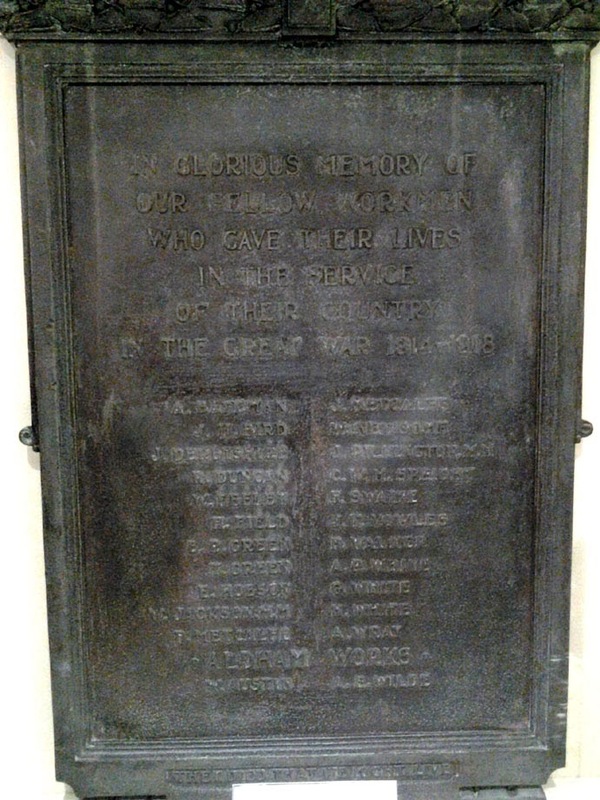 I recently photographed the War Memorial from Redfearns that is now kept in a glass cabinet on the first floor of Barnsley Town Hall. The OH's first cousin 3x removed Reginald Leslie Duncan is remembered on the tablet along with twenty-three other men. Towards the end of the alphabetical list are three entries for the surname White - A P White, G White and H White. The article I found yesterday gave information on all three of these men - they were brothers! The piece reports the death of Private Arthur Percy White from wounds on 28 March 1918. He had come home on leave to marry, so not only are his parents mourning, so is a young wife. I had initially thought that "last February" as it states in the article meant 1917, but I soon found Arthur's marriage entry on Ancestry and it turned out to be February 1918, so he had only been married five weeks or so when he died. Arthur and Selina Batty married in St Mary's church in Barnsley and he gave his occupation as Soldier. Selina's address was 36 Windermere Road, and when eleven years later in 1929 she remarries to a Clifford Farnsworth she was still living there. There is no record of a child born to a White/Batty marriage, so Arthur didn't leave her pregnant when he went back to the front. How long did Clara mourn him in those intervening eleven years? I hope she found happiness with Clifford in the end. 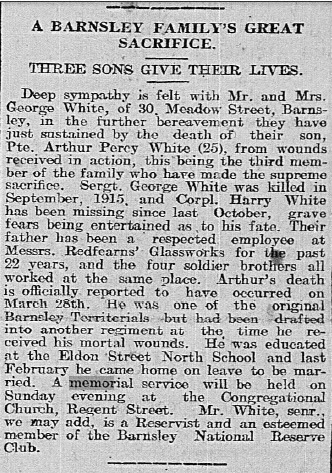 The newspaper article notes that his brother Sergeant George White had been killed in September 1915 and another brother Corporal Harry White reported missing in October 1917. The piece mentions four soldier brothers - as there are only three Whites mentioned on the Redfearns plaque I am hoping that the fourth brother survived the war. In the 1911 census we can see that George and his wife Clare White had six children who are all still living at home, 9 Meadow Street. George and Clare are incomers to Barnsley from Lincolnshire, but all their children were born here, so they must have lived in Barnsley nearly all their married life. Backtracking to the 1881 census I can see that George came to Barnsley to lodge with his brother in law and his occupation at the time was Paper Maker's Labourer. According to FreeBMD George White marries Clara Hodgson in the fourth quarter (October to December) of 1888, which fits just right. So despite them both coming from adjacent villages in Lincolnshire, George is from Wroot and Clara from Westwoodside, they marry in Barnsley. I wonder if Clara too had moved here before their marriage? There are two other brothers named in the census return - Harold and John William. Harold would have been old enough to be conscripted in 1916, John might have just been too young. Thankfully for the White family Harold survived, I found his marriage in 1921 at St Mary's Church to an Annie Nutton. Harold must have gone back to work at Redfearns because he gives his occupation as Glass Blower. The records in FreeBMD show six children born to a White/Nutton marriage between 1921 and 1937. So George and Clara had the support of grandchildren in their old age. I can't imagine what it must have been like for a family to lose three sons in the space of three years. All three men are remembered on the war memorial in St Mary's church as well as on the Redfearns Glassworks plaque. 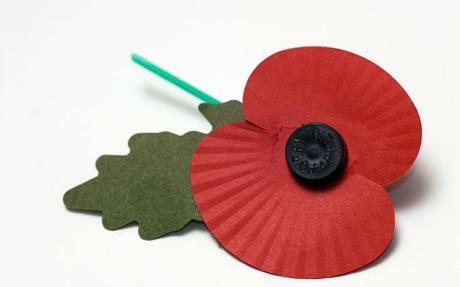 I hope that was some comfort to the family, to have a place to lay a wreath and remember their lost sons and brothers. A lovely but very sad story, thank you. Thanks for this article. I am Harold Whites Grandson (one of many grandchildren) and can testify he lived to a ripe old age Harold had several children only on of them is still alive. Thank you for reading Peter, I am glad you enjoyed the article.